is a canonical example of a net. 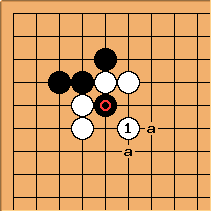 In this position, at either point a also captures , being examples of the knight's move net. This is an example of the Mouth shape.